Need something for the kids to do during the school holidays? 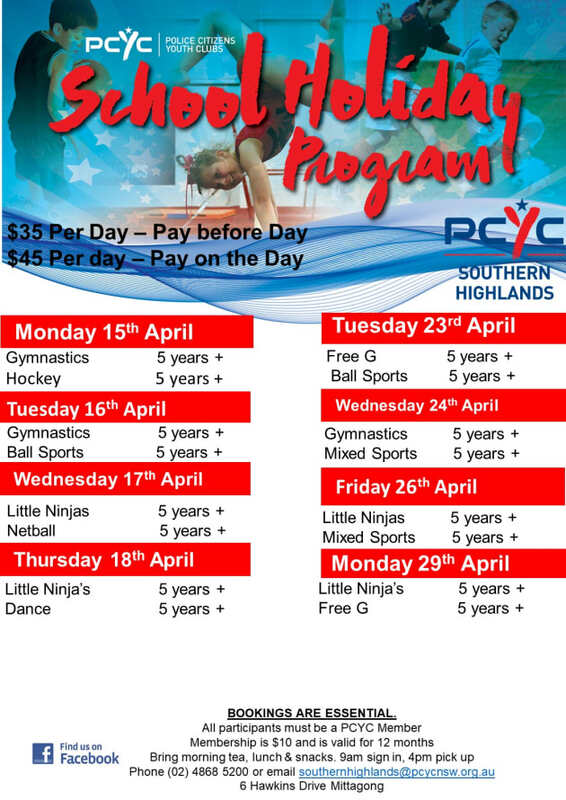 PCYC Southern Highlands offers short workshops during the holidays catering to all kids! Or contact the club to book – Early-bird discounts are not available when booking online. Please contact the club directly.